If everybody has a camera, where are all the great photographs? 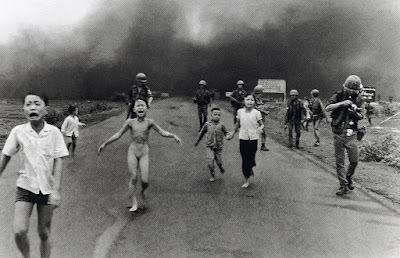 Some of the most famous photographs ever taken have been made by photojournalists who were in the right place at the right time. Put another way...many of those photographers were just lucky. But many of history's most enduring images were also the result of planning. And luck had very little to do with their creation. Just how lucky was Ut? Below is an uncropped version of Ut's famous photo that earned him the Pulitzer Prize. Enlarge the image above and look at the man in the helmet on the far right side of the frame. He's a UPI photographer who is re-loading his camera. He's missing the shot. Today, everyone knows who Nick Ut is. No one remembers the name of the unlucky UPI photographer. Right place, right time...and a bit of luck. Nine years earlier in Dallas, two photographers were also in the right place at the right time when nightclub owner Jack Ruby killed presidential assassin Lee Harvey Oswald. 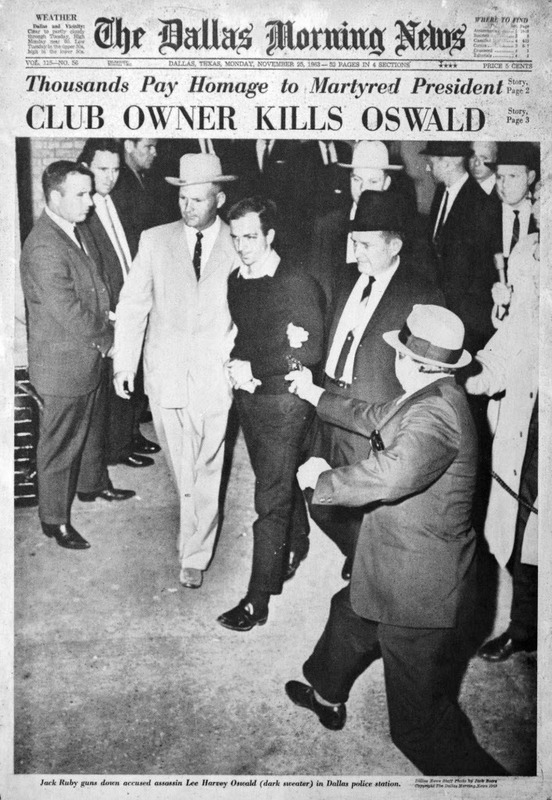 As Ruby, gun in hand, lunged towards Oswald in the basement of Dallas Police headquarters, the two photographers pressed the shutters of their cameras. But one of those photographers - Dallas Morning News photographer Jack Beers - missed making one of the most important photographs of his career by six-tenths of a second. Lee Harvey Oswald, the man suspected of killing President John F. Kennedy two days earlier, suffered a single, fatal shot from Ruby's gun. But other men standing in the basement of the Dallas police station on Sunday morning, Nov. 24, 1963, saw their own lives change, none more so than a pair of photojournalists who captured the moment in black and white. For Robert H. "Bob" Jackson, then a 29-year-old photographer for the Dallas Times Herald, taking a picture of Oswald's murder meant winning the Pulitzer Prize in 1964. But for Ira Jefferson "Jack" Beers Jr., who worked for The Dallas Morning News – and who took an almost equally vivid picture – the basement events left an entirely different legacy. Those who knew him say he never recovered from missing the Pulitzer by six-tenths of a second – the time between his photograph and Mr. Jackson's. "I know this sounds stupid, but for years, I wouldn't even talk to people about it. It hurt a lot," says Darlene Beers Williams, 50, the second of Mr. Beers' three children, whose father died of a heart attack in 1975. He was 51. But many times, luck has nothing to do with making a great photograph. Some great images are the result of meticulous planning. In April 2000, as the fifth month of the saga of rescued Cuban rafter Elian Gonzalez dragged on, AP photographer Alan Diaz was making plans for a day he knew was coming. Diaz started staking out the Miami home of the boy's relatives a few days after he moved in with them shortly after his rescue in late November 1999. In five months, Diaz had rarely taken a day off. On April 22, 2000, Diaz was ready... and those months of planning were about to pay off. He had been waiting for this moment for over 4 months. Diaz was staked out by the chain link fence that surrounded the Gonzalez house. Hearing a commotion in the back of the house, he vaulted the fence and ran to the front door. Someone let him in and pointed to a back bedroom where Elian was hiding in a closet with one of the fishermen who rescued him. Diaz barged in and waited for the arrival of the INS agents. As soon as they came in Diaz started shooting with his Nikon D1 and Tamron 28-105mm zoom lens. Diaz managed to get 11 images before the agents left. AP Photo by Alan Diaz. Diaz went on to win a Pulitzer Prize for his image of a frightened Elian Gonzalez. But whether it was luck or planning that went into making the photographs described above, the one thing that all of the photographers have in common is that they were seasoned and experienced professionals. But every now and then an amateur photographer is present when something newsworthy happens. And that's when luck plays a big part in whether or not a great picture is made or it becomes a moment lost to history. 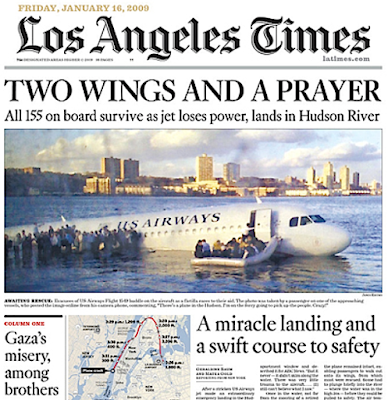 On Jan. 14, 2009, Janis Krums was a passenger on a ferry in the Hudson River in New York when Capt. 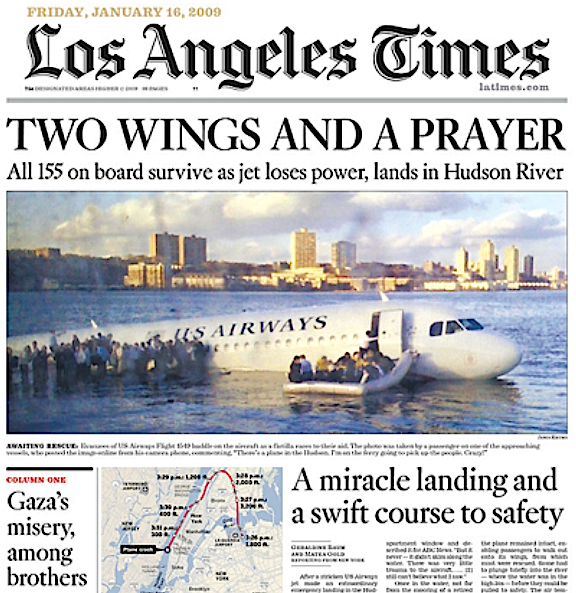 Sully Sullenberger who was piloting a US Airways jet, made an emergency landing in the water. In 2014, Krums recalled the day: "I only took one photo before giving my phone to one of the passengers we rescued. When it was returned, the first call came from MSNBC — the image I shared had gone viral. In fact, it crashed TwitPic." So some might ask, now that everyone has a camera, why do newspapers and TV stations even need to employ professional photographers? But instead of typewriters, we're talking about cameras. And as we've seen, amateurs sometimes get lucky. "What if you could turn local smartphone users into instant content contributors for your blog? Well, now you can! "OneNews, has built a robust, web-based platform that turns everyone with a smartphone into a contributor for [name of web site here]. OneNews allows you to instantly create location or interest-based assignments, asking contributors in the area to submit pictures, video, audio and text in real time. This provides smaller organizations, with limited resources, a powerful mechanism for content collection." Shortly after receiving his email, I talked with Reed over the phone and I told him not to quit his day job. Three and a half years later, OneNews appears to have disappeared...along with Reed's dream of turning it into the next big thing. But OneNews been replaced by Fresco News, an outfit that calls itself "the world's largest network of citizen photojournalists." But here's an example of the work being produced by Fresco's "citizen photojournalists." Hardly the stuff of history. Fresco's CEO, John Meyer, insists that his "users" get paid for their work when their content is used. But with rare exceptions, the days of making big money off a single picture are a thing of the past. On May 12, 1997, construction engineer Arthur Harvey was working on a Brickell Avenue condo when he made a picture that was published around the world. Harvey always kept his camera within arm's reach, and his quick thinking earned him thousands of dollars that day. [Arthur] Harvey is the man who took the photo of the May 12 downtown Miami tornado that appeared on the front page of The Herald as well as Newsweek magazine, Life magazine, USA Today and hundreds of other newspapers across the world. So far, Harvey has earned nearly $2,000 for being in the right place at the right time. That doesn't include the royalties he is earning from posters and copies of the photo sold by The Herald. He gets $1 for each poster and $5 for each photo sold. 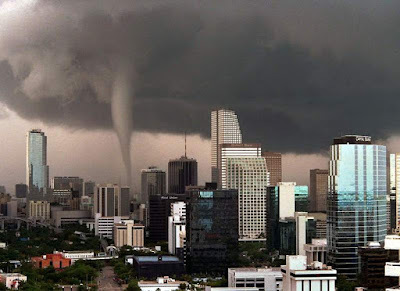 Tornado in Miami, May 12, 1997. But not all so-called citizen photojournalists are interested in getting paid. One Miami TV executive told me that many times viewers will send pictures and video to his station with little or no expectation of compensation. "We promise to put their name on the screen and that seems to be all the credit they want," he said. "But if they insist on payment, and it's video we really want, we'll pay for it," the executive told me. However, one newspaper photo editor told me: "If the picture is worth using, then it's worth paying for." But in 2015 many young photographers seem to be more interested in seeing their images go viral than in seeing a paycheck. 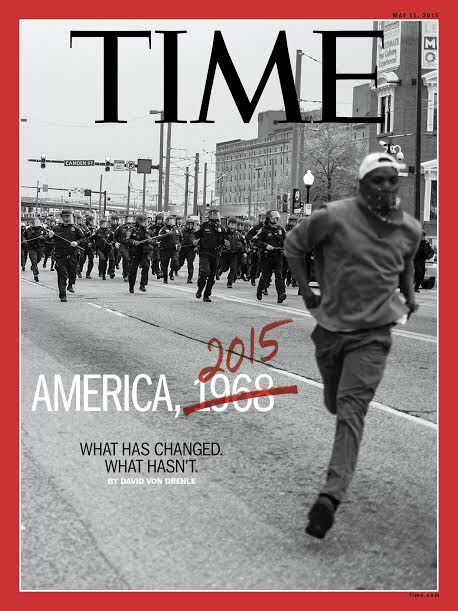 Last April, 26-year-old Baltimore resident Devin Allen took a photograph during the riots in his city that ended up being used on the cover of TIME magazine. "A lot of people are saying, ‘why didn’t you put your name on your pictures?’ I didn’t put my name on these pictures because I wanted them to go viral, I wanted everybody to post them, I wanted people to see,” he said. But photographers like Devin Allen are a rarity. Just because someone has a camera doesn't mean they know how to use it. For more proof, just look at your Facebook newsfeed. 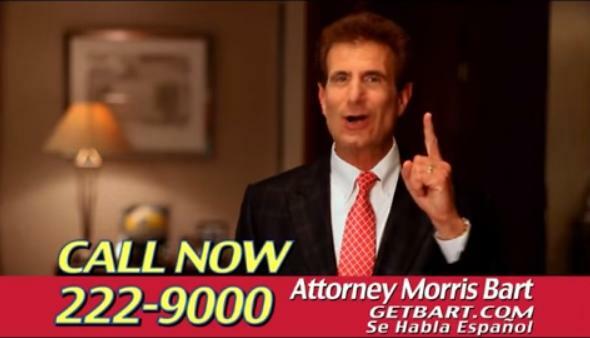 A parents of a two year-old boy in Louisiana threw a birthday party for the little tyke built around his favorite TV personality: a personal injury attorney named Morris Bart. When her son turned 2 years old earlier this year, L’erin Dobra had the typical quandary — choosing a birthday party theme. Pirate? Firefighter? Superhero? Harry Potter? What? TV newsrooms are busy places and brevity is highly valued. So the terse words "Metro Video" scrawled on the label of WTVJ archive tape X274 were perfectly adequate at the time. We'd like a little more information about this video, but thirty years ago nobody in the newsroom had the job of explaining things for future generations. So we've got this video, pretty clearly produced to promote Miami and Dade County as a tourist destination to potential tourists far and wide with pretty pictures and an original song. Watch and listen an we think you'll agree with us -- that the song, with lyrics like "On Key Biscayne we'll go sailin' / Metrozooin' and Metrorailin'" is not as pretty as the pictures. And if you have any information about who produced this video, under what circumstances, and where the rest of it ended up, let us know with a comment. This morning, Local 10's Michael Putney closed out "This Week in South Florida" with a blistering commentary directed at Miami Beach Mayor Philip Levine. 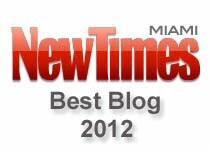 Putney is, inarguably, South Florida's most experienced and respected political reporter. In his four decades in Miami he's chased more than a few crooked pols down courthouse steps around town. So he didn't waste any time in calling out Levine and Miami Beach Commissioner Jonah Wolfson for their involvement in raising money for a sketchy political action committee chaired by Wolfson. Last month, the Miami Herald's Joey Flechas reported the PAC, Relentless for Progress, had raised $500,000 in just 30 days. Putney hit Levine and Wolfson for "strong-arming" city vendors into making huge contributions to the PAC. There's a Miami Beach city ordinance that prohibits vendors who do business with the city from contributing to candidates' campaigns. So Levine and Wolfson skirt the law by calling vendors and asking them to contribute to the PAC instead. In his commentary Putney mentions one of the PAC's ads that's now running on cable channels county-wide and that features a walking-talking Mayor Levine. The ad was crafted by a Tampa-based firm called the Victory Group that coincidentally was responsible for producing Levine's campaign spots when he first ran for mayor in 2013 and when Levine was endorsed by former President Bill Clinton. Ironically, the Victory Group's client list is top-heavy with Republican politicians. Before we leave you this morning, a personal perspective about a political fund-raising campaign underway on Miami Beach that doesn't pass the smell test. The money....about a million bucks so far... is pouring into a political action committee called "Relentless for Progress." Some of that money is paying for this TV ad featuring Miami Beach Mayor Philip Levine, who is seen bragging about all the good things he and his commission buddies are doing. In fact, there are a lot of good things going on...on the Beach, thanks to Mayor Levine. [Levine's] a smart guy, a successful businessman and a leader in the campaign to raise awareness about sea level rise and climate change and he was a champion for installing huge pumps on South Beach to alleviate tidal flooding. Good for him. The mayor was also right to stop bars on Ocean Drive from serving drinks outside after 2 a.m. so it didn't become another Bourbon Street. But the Mayor and his friend Jonah Wolfson, a Miami Beach commissioner who's term limited, are engaged in a fund-raising campaign that just stinks. Their political action committee is strong-arming city vendors for big contributions. The city attorney says it's OK legally and perhaps it is. But it's not OK morally or ethically. And when two Miami Beach commissioners asked to send the question to the Miami-Dade ethics commission, they were voted down. Unbelievable. Demanding money from city vendors just is not right. And we're talking about "donations" that range from $20,000 to $100,000. The ethics commission says it's going to investigate on its own, as well it should. But that will take months. Next fall's election will be long over by the time the ethics commission weighs in. In the meantime, all that PAC money will be used to elect commission candidates who are supporters of Mayor Levine. Nothing wrong with that. Nothing wrong with running a slate of candidates. What is wrong is taking money from people who do business with the city...who are limited in the amount they can give individual candidates, but aren't limited in how much they can give to a PAC. The PAC then helps their favored candidates. It's all very clever. And all very stinky. Mayor Levine has a bright political future. 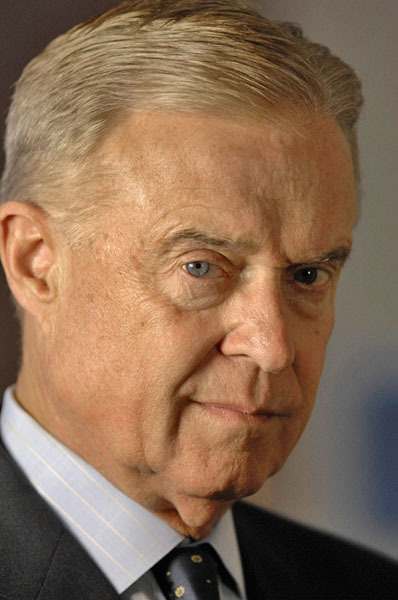 His political action committee is dimming the luster. Video footnote: Here's one of Mayor Levine's campaign ads from 2013 when he talked about - with a straight face - Miami Beach's "corrupt politicians." Oh, the irony! The Tampa Bay Times reports, “There have been 15 smoke and odor complaints received since September 2014 related to the subject residence, none of which resulted in a citation from the county. Fourteen of those complaints came from one neighbor. Additionally, the City of St. Petersburg issued a citation to the property owner in 2014 regarding the possession of commercial grilling equipment in a residential neighborhood. Okay, so Ronald Reagan did get a few things right. 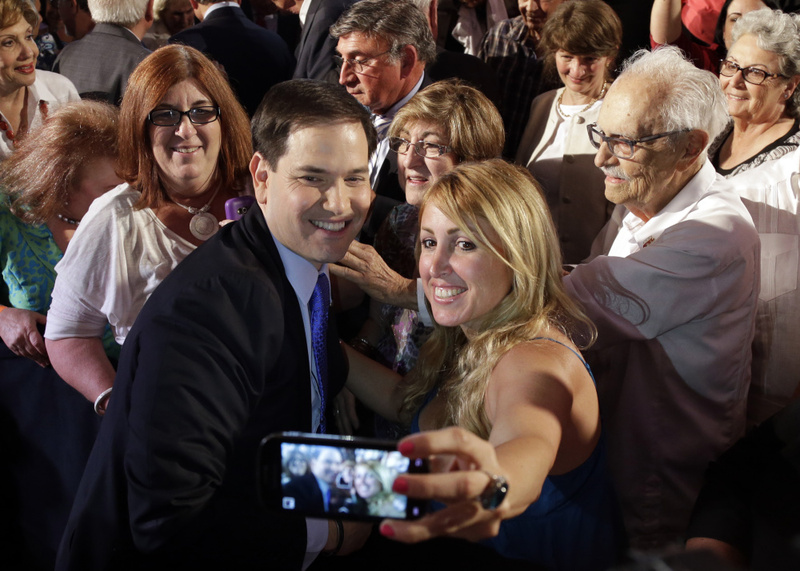 Sen. Marco Rubio (R-Fla.) said Wednesday that President Obama has "no class." In an interview with "Fox and Friends," Rubio argued that his GOP rival Donald Trump has not behaved in a way that is "worthy of the office that he seeks." Then, he pivoted to going after Obama. 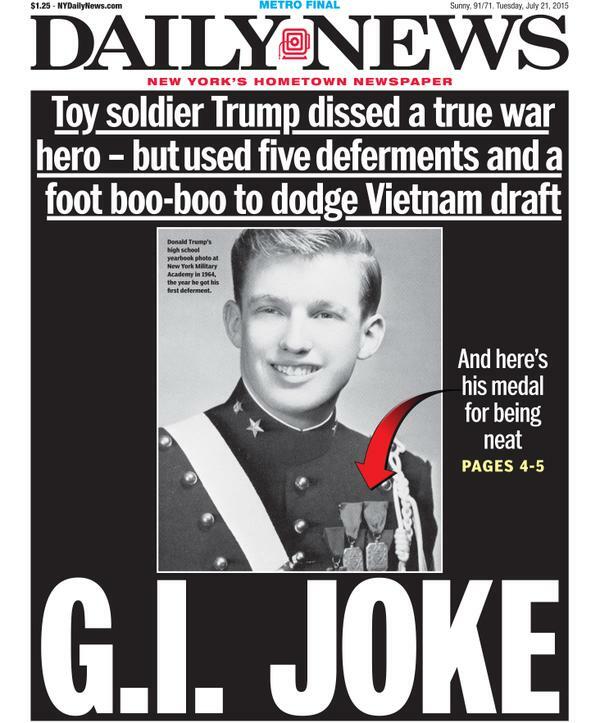 "We already have a president now that has no class," said Rubio. 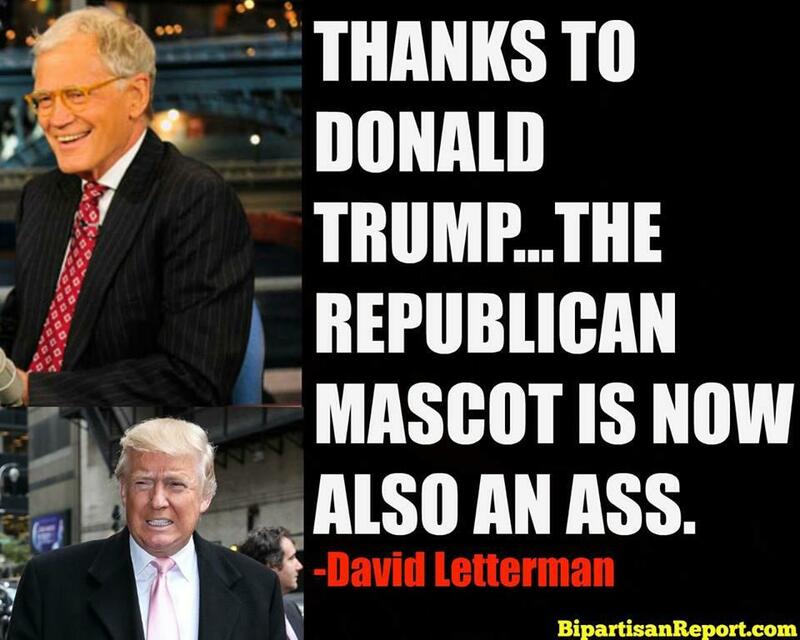 The Republican, like most of his GOP opponents, has been an outspoken critic of Obama. But his disapproval has mostly been on policy, making his Wednesday comments especially notable. "I mean, we have a president now that you know, does selfie stick videos, that invites YouTube stars there, people that, you know, eat cereal out of a bathtub," Rubio continued. "You just saw the interview he did right now, where he goes on comedy shows to talk about something as serious as Iran. The list goes on and on." There irony here is that Rubio made his "no class" charge while appearing on a low-brow show like "Fox & Friends." In case you don't watch "Fox & Friends," it's a show that, when compared to the Jerry Springer Show, makes the latter look like Masterpiece Theater. "Fox & Friends" hosts once tried to roast marshmallows over an open flame using their bare hands and plastic spoons. And just two days ago during a discussion about a shark that attacked surfer Mick Fanning, F&F co-host Brian Kilmeade wondered out loud why beach officials couldn't do more to clear the oceans of sharks to prevent the predators from coming in contact with humans. But in making the charge that Obama has "no class" because he appeared on a "comedy show," Rubio conveniently ignored the fact that he once appeared on the same show. Stay classy, and thirsty, Marco. Here's Lewis Black's classic Daily Show monologue from 2011 on Donald Trump. It's just as relevant today as it was four years ago. 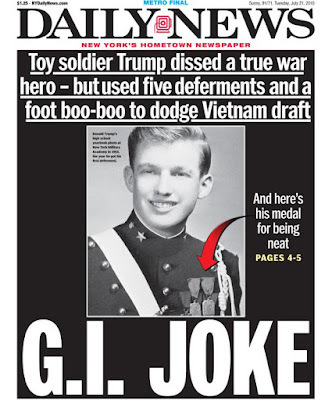 "He'd make a terrible president. But we're done with presidents. We've tried every option and flavor. Stupid president, smart president, white president, black president. Doesn't work! What this country needs is a crazy third-world dictator, and Donald Trump has what it takes to be that." 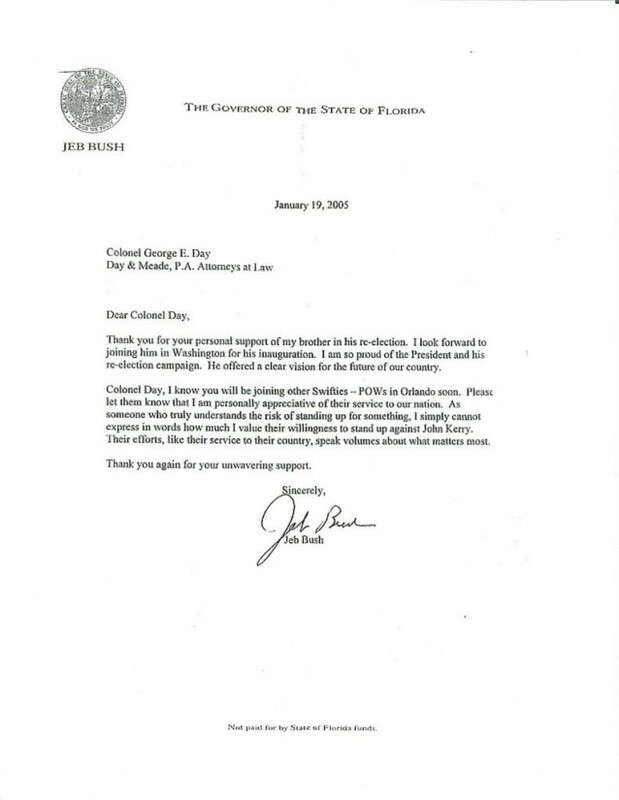 But in 2005, Bush, as governor of Florida, wrote a letter thanking a member of group that attacked John Kerry's war record. After the campaign Jeb Bush, then Governor of Florida, sent a letter to George Day — a member of the Swift Boat Veterans For Truth who appeared in television advertisements trashing Kerry. Day said Kerry, a recipient of the Silver Star and three Purple Hearts, would “go down in history sometime as the Benedict Arnold of 1971.” In his letter, Bush thanks Day and the “other Swifties” for their “support of my brother in his re-elecction.” “I simply cannot express in words how much I value their willingness to stand up against John Kerry,” Bush wrote. Via ESPN: "Three-time world surfing champion Mick Fanning was attacked by a shark Sunday during a competition off the coast of South Africa but escaped unharmed." "$20,000 for a 1-megapixel camera that can store up to 70 images! Transmit photos via modem! See a cutting-edge new technology called digital photography in this CNET video from 1995." During hurricane season, WPLG Local 10 has a feature they call the "Tropical Update" wherein the station promises to update viewers on tropical weather conditions in the first 10 minutes of every newscast. Never mind that most times the updates are on weather systems that pose absolutely no threat to South Florida. But Local 10 bosses know that if they keep their viewers on edge and scared sh*tless, they'll keep coming back for more. The "Brush Fire Alert" feature is a variation on the "Tropical Update." 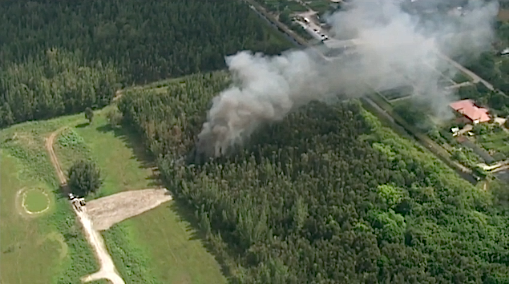 Local 10 decision makers apparently believe that some overgrown grass burning in the middle of nowhere is "news" you need to know, in much the same way a tropical disturbance in the middle of the Atlantic that has zero chance making landfall in South Florida is "news." 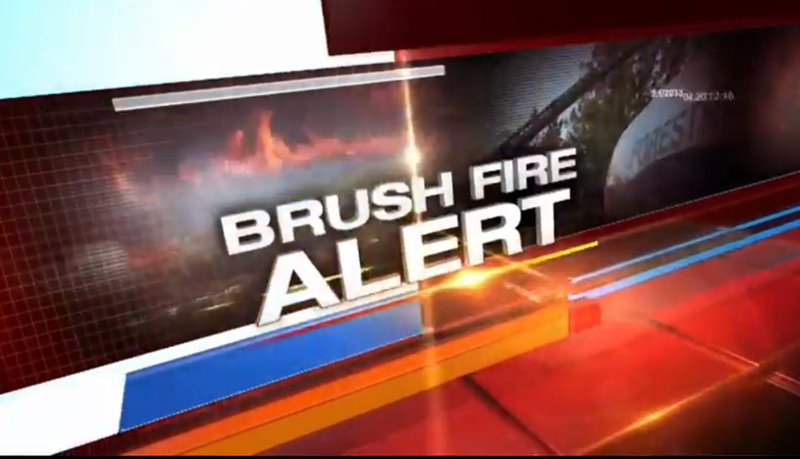 So yesterday, Local 10 began its noon news with a "Brush Fire Alert." Before we go any further, let's take a look at the fire. Monster brush fire in Southwest Ranches as seen from Sky 10. Yes, according to the journalism geniuses at Local 10, it is. Here's how Local 10's Breaking News Queen, Liane Morejon reported this huge story. It seems this fire is pretty much contained. You can see behind me no smoke billowing, no one actively fighting this fire, but let's show you what it looked like just about an hour ago. Crews were here actively fighting this fire. Not nearly as large as some of the brush fires we have seen in recent days but still a problem they had to attack nonetheless. On the ground you could see after those flames were put out some smoke sort of smoldering from the ground there. And then, inexplicably, Morejon says this: "At this point it is still unclear exactly how big this fire got...."
Actually, Liane, the video from Sky 10 shows exactly how big the fire got. So what in the hell were you talking about? "As you can see right now back to these live pictures, this is under control. This is not posing any threats to any businesses, any buildings, any cars on the roadway. no smoke inhibiting your visibility." So if the fire isn't "posing any threats to any businesses, any buildings," why are you there, Liane? Unfortunately we'll never get an answer to that question. But the lack of any news value associated with this story isn't keeping Liane from digging for more answers: "So right now this is under control. We will, of course, as soon as we get any more information about exactly how big this fire was and how exactly they were able to put it under control, we will bring that to you." Thanks, Liane. Get right back to us, will you? Brawl at Publix deli counter in Florida "definitely spoils the shopping experience." Guy who uploaded the video to Youtube (below) says, "I was going to get some spinach. I came back around towards the chicken tender case, to get some (because Publix chicken tenders are delicious), and saw this happening. I immediately whipped out my phone and took a video." The person who uploaded the video said it happened just after 5:30 Monday night at the Publix grocery store in an upscale Orlando neighborhood. In the background, you can hear a crying child. Then a worker is heard saying, "Guys, come on." A woman shouts, "I'm calling the police!" And then one of the men in the fight screams, "Are you out of your mind? That's my pregnant wife, bro!" Shoppers watching the video called it "uncomfortable" and said "It definitely spoils the shopping experience." "I think it's horrible. I'd never expect it. Definitely with this type of neighborhood and being Publix," said another shopper. Saw some pics of Yanet on Facebook last night and wondered how long it would be before some Miami TV station signed her up. I'm not sure if she has a degree in meteorology or journalism...which means she's more than qualified to work in the Miami TV market. If everyone around you suddenly seems really interested in catching the weather forecast every day, Yanet Garcia may be the reason why. Garcia, a weatherwoman for Mexican TV network Televisa Monterrey, has basically broken the Internet in Mexico, with people comparing her to Kim Kardashian and calling her the hottest weather anchor ever. 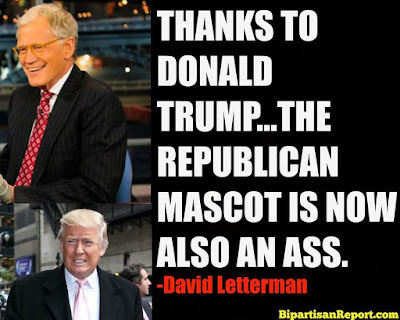 David Letterman emerged from retirement to deliver a scathing Top Ten list directed at one of his favorite targets: Donald Trump. The former “Late Show” host made a surprise appearance at Steve Martin and Martin Short’s “A Very Stupid Conversation” event Friday night in San Antonio. He then expressed regret that his retirement preceded Trump’s presidential run. "I retired … and I had no regrets. None. I was happy," the 68-year-old said. "I was complacent, I was satisfied, I was content." “And then a couple of days ago, Donald Trump said he was running for president," he told the cheering crowd. "I have made the biggest mistake of my life, I tell you." 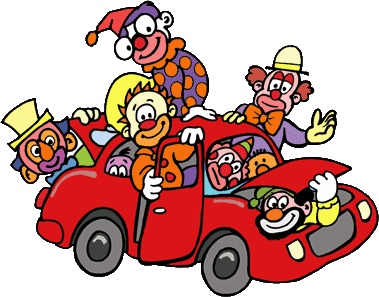 They held a city commission meeting on Miami Beach yesterday. The big news was that sometime before noon the commission voted 5-0 to allow "police to issue a $100 ticket to people found with 20 grams or less of marijuana on their person instead of arresting them." But it was during the afternoon session when things started to get really weird. After Commissioner Ed Tobin repeatedly questioned Mayor Philip Levine and Commissioner Jonah Wolfson on whether or not they ever called vendors and real estate developers for political contributions, Wolfson reminded Tobin that he's probably the last person who should be questioning someone's ethics. Jonah Wolfson to Ed Tobin: "You're the one who failed an ethics exam when you tried to get a job with the police department." Then Levine reminded Tobin that he didn't need to ask anyone for money...because he's rich; really rich. Just like that other jerk who's been in the news lately. Mayor Philip Levine: "I don't need a penny from anybody. I financed my entire campaign." Donald Trump: "I don't need anybody's money...I'm really rich." But it was Commissioner Deede Weithorn who got off the best lines of the day. During a contentious exchange with Levine Mayor Dickhead, an incensed Weithorn said, "Let the public see what the mayor is really like if that's what he wants to do." Levine responded, "I'm sorry, I'm sorry, I'm sorry your husband is running [for office] and you're upset because you can't raise money"
Weithorn shot back: "You know, that's why you're not married because you think that that's how it works. " Deede Weithorn to Mayor Philip Levine: "That's why you're not married." 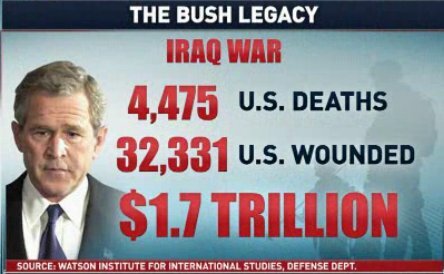 George W. Bush, the man who sent men and women to die in a war for a lie ... and then joked about it, "charged $100,000 to speak at a charity fundraiser for U.S. military veterans severely wounded in Iraq and Afghanistan, and former First Lady Laura Bush collected $50,000 to appear a year earlier, officials of the Texas-based Helping a Hero charity confirmed to ABC News." “It was great because he reduced his normal fee of $250,000 down to $100,000,” said Meredith Iler, the former chairman of the charity. However, a recent report by Politico said the former President’s fees typically ranged between $100,000 and $175,000 during those years. He moved to a nearby sidewalk and then played “The Star-Spangled Banner,” drawing a crowd of about 200, who cheered him on and chanted his name. “I don't think I ever played that song as good in my life as I did on that day. It felt right. It was an emotional roller coaster,” Pittman said. “He goes, 'Spread your legs. Put your hands behind your back,' and that was when I was like, 'Oh my gosh. Is he serious? I'm getting arrested for this after I was told I could do it? '” Pittman said. “That blows my mind, because it was peaceful up until the time they arrested me,” Pittman said. Plundering America, The Cuban Criminal Pipeline. 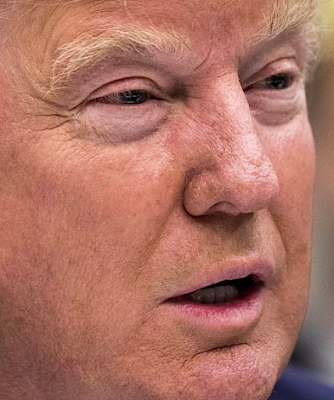 Via CBS News: "When Trump declared himself a Republican candidate for president last month, he warned that the U.S. is becoming a "dumping ground" for the world's problems." But as Miami Herald columnist Fred Grimm pointed out in his column this past Sunday, "only certain undocumented immigrants will be catching hell during the primary season." Republican presidential candidates seem less bothered by the thousands of Cuban immigrants who enter this country without the proper legal documents, many of them coming across that same Mexican border. The Houston Chronicle reported last week that of the nearly 24,000 Cubans who arrived at the southern U.S. ports of entry (including Miami) from October to June, 67 percent crossed the Mexican border at Laredo. In February, my colleagues Alfonso Chardy and Nora Gámez Torres turned up similar numbers. They reported that in the previous five months, 17,459 of 20,384 Cubans entering the U.S. without permission had come out of Mexico. Only 814 had come ashore in South Florida. The old policy known as “wet foot, dry foot” has become a misnomer. Their method of entering the U.S. is no more legal than that of undocumented Mexicans and Central Americans sneaking over the same frontier. Except that, the moment Cuban migrants step into Texas, they come under the magical auspices of the Cuban Adjustment Act. Trump’s xenophobic declarations will lead other Republican candidates to discuss — or rave like lunatics about — the perceived permissiveness of U.S. immigration policy. They won’t be saying much about the people who enjoy the most permissive immigration policies afforded any nationality, thanks to a relic of the Cold War: the Cuban Adjustment Act of 1966. Too bad. It would be interesting to hear candidates defend this law, supposedly contrived to provide refuge for victims of political oppression, though those victims now travel back to visit oppressive Cuba 400,000 times a year. Apparently, the effects of oppression are hereditary. The children, and even grandchildren, of Cuban immigrants who’ve lived all their lives in a third nation, who’ve never visited Cuba, can also claim the privileged immigration status conferred on so-called political refugees from the Castro regime. In sheer numbers, of course, the influx of Mexican migrant laborers far outnumbers Cubans. Both groups suffer some small percentage of outlaws. But as the Herald’s Jay Weaver and Juan Tamayo reported last year, the special treatment Cubans enjoy under the CAA actually facilitates criminal ventures. 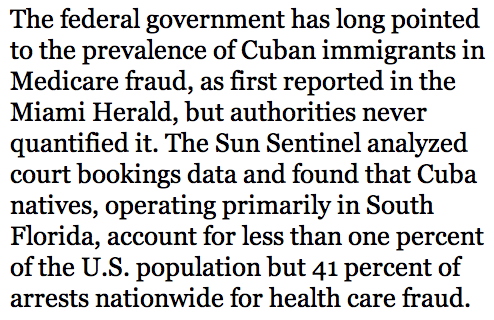 Weaver and Tamayo wrote about Cuban immigrants running Medicare scams who are able to stash their loot safely away in Cuban banks. When the FBI comes nosing around, the supposed exiles escape prosecution by heading home to Cuba, where, thanks to the country’s dysfunctional diplomatic relationship with the U.S., they’re safe from extradition. 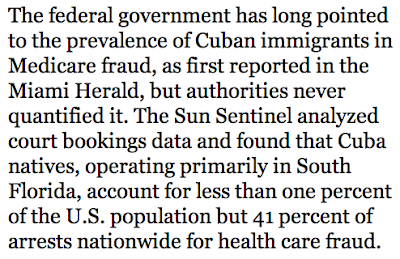 The Sun Sentinel published a series on the same phenomenon this past spring, reporting that Cuban criminals operating in South Florida were responsible for an estimated 41 percent of the nation’s Medicare fraud. Happy 4th ofJuly, everyone. And please stay safe on the water! According to Miami-Dade County Judge Mindy Glazer, Arthur Booth was the "nicest kid" at their Miami Beach middle school. The two had a reunion of sorts yesterday after Glazer recognized Booth on a video hook-up from jail where Booth was being held on charges of burglary and grand theft. Arthur Booth, 49, appeared in court Thursday after police said he broke into a home, stole a car and fled from authorities. He caused two accidents before crashing the Honda Accord and being arrested Monday, police said. Shuffling papers, Miami-Dade County Judge Mindy Glazer said, "I have a question for you - did you go to Nautilus (middle school)?" Booth clapped his hand to his face. "Oh my goodness!" he said with a smile that soon turned to tears. "I'm sorry to see you here. I always wondered what happened to you," Glazer said as Booth cried. "This was the nicest kid in middle school. He was the best kid," Glazer said, reminiscing on their time at the Miami Beach school. "I used to play football with him, all the kids, and look what has happened." As Booth, overwhelmed with emotion, shouted "Oh my goodness!" seven times, Glazer said she hoped he turns his life around. "Good luck to you sir," she said. 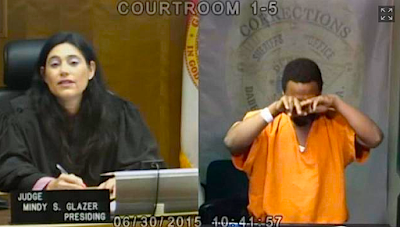 "I hope you are able to come out of this okay and just lead a lawful life." While poking around on the Internet this morning I learned that the bikini was first introduced 69 years ago this Sunday, on July 5, 1946. The bathing suit's debut came less than a week after the United States conducted a test of the atomic bomb near the Bikini Atoll in the Pacific. And that's great ... because I've been looking for an excuse to post a photo (above) I shot a few years ago on Miami Beach of a model named Maria Kanellis. Seven years after the bikini's introduction, some people were having a hard time accepting the fact that women would actually wear something so scandalous. In 1953, a Miami minister named John Henderson went bonkers after seeing a 4th of July-themed photo of a bikini-clad model in a newspaper. "I am humiliated to think that a city like Miami would celebrate the Fourth of July by disgracing womanhood," Henderson was quoted as saying. Miami Daily News, June 24, 1953. And a year later, the bikini was in the news again. A story that ran on page one of the September 1, 1954 issue of the Miami Daily News reported that a South Beach stripper named Patrona Bugg stopped early morning traffic on the MacArthur Causeway after she decided to strip down to a bikini and wade in the waters near Palm Island. Miami Daily News, Sept. 1, 1954. As hundreds of workers drove past at 7 a.m., Patrona calmly disrobed and waded in the water. She put on a leopard-cloth bikini bathing suit, obviously made from a very small leopard. No fewer than four Miami Beach cops quickly responded to the scene and took Patrona into custody. Later, during a court appearance, the News reported that Patrona told a judge she didn't know that she had been breaking the law. "I did not know it was against the law to take a swim in Miami Beach," Patrona told Judge Lawrence Hoffman in a voice which mingled innocence with a heavy Latin accent. Hoffman let her off with a suspended sentence. Footnote: A week later, Patrona was back in court after getting into a fist fight with another woman on the sidewalk outside a South Beach club.